Much in the UK press this week about alleged personal injuries from what has been described as “toxic air” in aircraft. Contamination of cabin air with, perhaps, organophosphates from the engines, either ambiently or during “fume events”, is alleged to cause ill health both in air crew and passengers. It seems that pre-action correspondence is being sent and litigation is afoot. Of course, the issues, engineering, physiological and legal, are complex and await a proper forensic exploration. The courts are actually very good at this sort of thing as I shall go on to discuss below. However, the press coverage reminded me of one of the recurrent themes in this blog, trust in bureaucracy. For the types of aircraft studied, and in the absence of a major fume event, airborne concentrations of the pollutants that were measured in the study are likely to be very low (well below the levels that might cause symptoms) during most flights. The data do not rule out the possibility of higher concentrations on some flights … or of higher concentrations of other pollutants that were not measured. … the Committee considers that a toxic mechanism for the illness that has been reported in temporal relation to fume incidents is unlikely. Many different chemicals have been identified in the bleed air from aircraft engines, but to cause serious acute toxicity, they would have to occur at very much higher concentrations than have been found to date (although lower concentrations of some might cause an odour or minor irritation of the eyes or airways). Furthermore, the symptoms that have been reported following fume incidents have been wide-ranging (including headache, hot flushes, nausea, vomiting, chest pain, respiratory problems, dizziness and light-headedness), whereas toxic effects of chemicals tend to be more specific. However, uncertainties remain, and a toxic mechanism for symptoms cannot confidently be ruled out. It’s not unusual for academics to be guarded if asked for an opinion and the CoT certainly don’t regard fume related injuries as impossible. However, having taken the matter as far as they are able with their resources, their honest opinion is that the reported symptoms were not caused by toxic fumes. I have not been able to find any fully argued study that says that they are. And yet, as the BBC points out, there are anecdotes that have to be considered against a background of data that, in itself, does not conclusively exclude the alleged symptoms. The matter is not quite closed but this turns out to be another issue beset with personal attitudes to evidence and risk. If you look at the tobacco industry, the asbestos, contaminated blood issues, if you look at all that, the government say it’s perfectly safe, perfectly safe and then “wham”, they suddenly have to admit they got it wrong for so many years. I am pretty sure that the UK government, at least, never advised that tobacco or asbestos was safe. William Cooke, the pathologist of Wigan infirmary, made arguably the first scientific report of lung disease caused by asbestos in 1924. There had been anecdotal evidence previously but Cooke’s was the first systematic analysis. Regulation and successful litigation soon followed. I am not aware of any serious body of scientific opinion ever saying that airborne asbestos exposure was safe after that point. As to smoking tobacco, the first statistical evidence associating smoking with cancer seems to have come in 1929 from Fritz Lickint. After Richard Doll’s work from the 1950s onwards I don’t think there was serious scientific dispute. Of course, in the early years of the twentieth century life was comparatively unregulated. Though an absence of regulatory framework may now appear like a governmental endorsement that is to apply a very much post-World War II perspective. In any event, governments did respond with regulation, on both smoking and asbestos, even if its rigour is condemned by hindsight. The story of asbestos is a particularly tragic one. The story of contaminated blood is, I admit, more complex. I think it will make an edifying subject for a further blog. The narrative of a callous, self-serving government bureaucracy only exposed by the heroic endeavours of maverick scientists is an attractive one to many people. Its prototype is Ibsen’s 1882 play An Enemy of the People. The twist in that drama is [spoiler alert!] that the population join the bureaucracy in turning against the scientist, whose credibility goes notably unchallenged by the author. Attitudes to risk are entangled with emotional responses to broader cultural matters, as I blogged about here. That ecology of personal attitudes also feeds into how individuals react to the outputs of a bureaucracy, even one holding itself out as an exemplar of scientific objectivity, as I blogged about here. It is amid those conflicting cultural responses that forensic examination has a real part to play in resolving the conflicting doubts. Thereza Imanishi-Kari was a postdoctoral researcher in molecular biology at the Massachusetts Institute of Technology. In 1986 a co-worker raised inconsistencies in Imanishi-Kari’s earlier published work that led to allegations that she had fabricated results to validate publicly funded research. In his excellent 1998 book The Baltimore Case, Daniel Kevles details the growing intensity of the allegations against Imanishi-Kari over the following decade, involving the US Congress, the Office of Scientific Integrity and the FBI. Imanishi-Kari was ultimately exonerated by a departmental appeal board constituted of an eminent molecular biologist and two lawyers. The board allowed cross-examination of the relevant experts including those in statistics and document examination. It was that cross-examination that exposed the allegations as without foundation. I was not long in the witness box before I began to wish for a hole to creep out at. Certainly in England and Wales, expert evidence only provides guidelines within which the court makes its findings of fact. In the Canadian case of Reynolds v C.S.N. the learned judge, analysing whether a strike induced shut down at an aluminium facility had caused plant damage, disregarded the evidence of two statisticians, who could not agree how to calculate a Kaplan-Meier estimator, and preferred that of an engineer who had adopted a superficially less exact approach. Though every branch of science has been advancing with sure and rapid strides, it is perhaps not too much to say that from the time of Lord Mansfield, and Folkes v Chadd, to the present; there has been a steady decrease in the credit awarded to the testimony of scientific witnesses. Throughout the nineteenth century the forensic evidence of scientific experts garnered a poor reputation. Robert Angus Smith, the discoverer of acid rain, refused to take expert work as he regarded it as corrupt beyond remedy and wished not to taint his reputation. However, English law gradually drew the matter under supervision. The whole process by which English law adapted to embrace the conflicting evidence of specialists, woven through their respective esoteric expertise, is set out by Tal Golan in Chapter Three of his 2004 history of expert evidence, Laws of Men and Laws of Nature. Within the common law world, evaluation of expert evidence continues to evolve. The Australian courts have made important contributions with innovations such as hot tubbing. The common law courts have developed into a sophisticated forum for adjudicating on competing claims as to knowledge, not from an absolute standpoint, but from the pragmatic worldview of allocating resources. For practical people there has to be an end to every dispute. The life of the law has not been logic; it has been experience… The law embodies the story of a nation’s development through many centuries, and it cannot be dealt with as if it contained only the axioms and corollaries of a book of mathematics. Is data the plural of anecdote? I seem to hear this intriguing quote everywhere these days. Narrative … of amusing or interesting incident. Wiktionary gives a further alternative definition. An account which supports an argument, but which is not supported by scientific or statistical analysis. It’s clear that anecdote itself is a concept without a very exact meaning. It’s a story, not usually reported through an objective channel such as a journalism, or scientific or historical research, that carries some implication of its own unreliability. Perhaps it is inherently implausible when read against objective background evidence. Perhaps it is hearsay or multiple hearsay. The anecdote’s suspect reliability is offset by the evidential weight it promises, either as a counter example to a cherished theory or as compelling support for a controversial hypothesis. Lyall Watson’s hundredth monkey story is an anecdote. 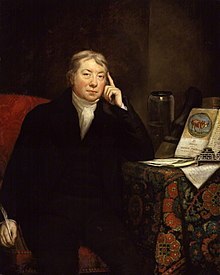 So, in eighteenth century England, was the folk wisdom, recounted to Edward Jenner (pictured), that milkmaids were generally immune to smallpox. Facts or impormation, esp[ecially] as basis for inference. Thing[s] known or granted, assumption or premise from which inferences may be drawn. The suggestion in the word “data” is that what is given is the reliable starting point from which we can start making deductions or even inductive inferences. Data carries the suggestion of reliability, soundness and objectivity captured in the familiar Arthur Koestler quote. Yet it is common knowledge that “data” cannot always be trusted. Trust in data is a recurring theme in this blog. Cyril Burt’s purported data on the heritability of IQ is a famous case. There are legions of others. Smart investigators know that the provenance, reliability and quality of data cannot be taken for granted but must be subject to appropriate scrutiny. The modern science of Measurement Systems Analysis (“MSA”) has developed to satisfy this need. The defining characteristic of anecdote is that it has been subject to no such scrutiny. Anecdote and data, as broadly defined above, are both forms of evidence. All evidence is surrounded by a penumbra of doubt and unreliability. Even the most exacting engineering measurement is accompanied by a recognition of its uncertainty and the limitations that places on its use and the inferences that can be drawn from it. In fact, it is exactly because such a measurement comes accompanied by a numerical characterisation of its precision and accuracy, that its reliability and usefulness are validated. It seems inherent in the definition of anecdote that it should not be taken at face value. Happenstance or wishful fabrication, it may not be a reliable basis for inference or, still less, action. However, it was Jenner’s attention to the smallpox story that led him to develop vaccination against smallpox. No mean outcome. Against that, the hundredth monkey storey is mere fantastical fiction. Anecdotes about dogs sniffing out cancer stand at the beginning of the journey of confirmation and exploitation. Part of the answer to the dilemma comes from statistician John Tukey’s observation that there are two kinds of data analysis: Exploratory Data Analysis (“EDA”) and Confirmatory Data Analysis (“CDA”). Once a concrete theory or hypothesis is to mind, a rigorous process of data generation allows formal statistical techniques to be brought to bear (“CDA”) in separating the signal in the data from the noise and in testing the theory. People who muddle up EDA and CDA tend to get into difficulties. It is a foundation of statistical practice to understand the distinction and its implications. Anecdote may be well suited to EDA. That’s how Jenner successfully proceeded though his CDA of testing his vaccine on live human subjects wouldn’t get past many ethics committees today. However, absent that confirmatory CDA phase, the beguiling anecdote may be no more than the wrecker’s false light. We have but one sample of history. History is the only thing that we have any data from. 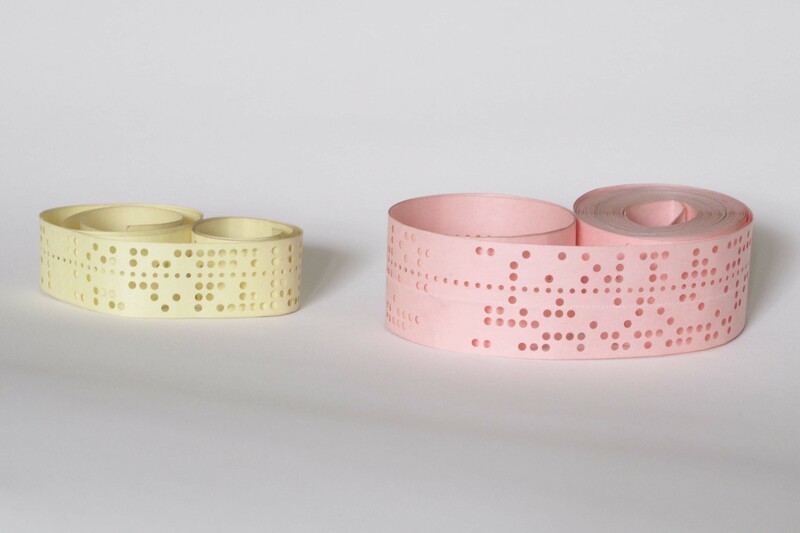 There is no data on the future. Tukey himself recognised the problem and coined the phrase uncomfortable science for inferences from observations whose repetition was not feasible or practical. In his recent book Strategy: A History (Oxford University Press, 2013), Lawrence Freedman points out the risks of managing by anecdote “The Trouble with Stories” (pp615-618). As Nobel laureate psychologist Daniel Kahneman has investigated at length, our interpretation of anecdote is beset by all manner of cognitive biases such as the availability heuristic and base rate fallacy. The traps for the statistically naïve are perilous. But it would be a fool who would ignore all evidence that could not be subjected to formal validation. With a background knowledge of statistical theory and psychological biases, it is possible to manage trenchantly. Bayes’ theorem suggests that all evidence has its value. I think that the rather prosaic answer to the question posed at the head of this blog is that data is the plural of anecdote, as it is the singular, but anecdotes are not the best form of data. They may be all you have in the real world. It would be wise to have the sophistication to exploit them.